When it comes to growing an indoor vegetable garden, considering these tips will help you to grow your favorite plants and herbs all winter long. Sure, you won’t get the same yields inside as you would in your outdoor garden, but growing some fresh ingredients indoors can help to satisfy your need for something fresh. An indoor garden can take up as much or as little space as you’d like. However, keep in mind that plants grow best when they’re in their preferred conditions. As you look around your home for the best space for an indoor garden, think about the herbs and vegetables that you’d most like to grow and consider their needs. Most vegetables need plenty of sunlight. 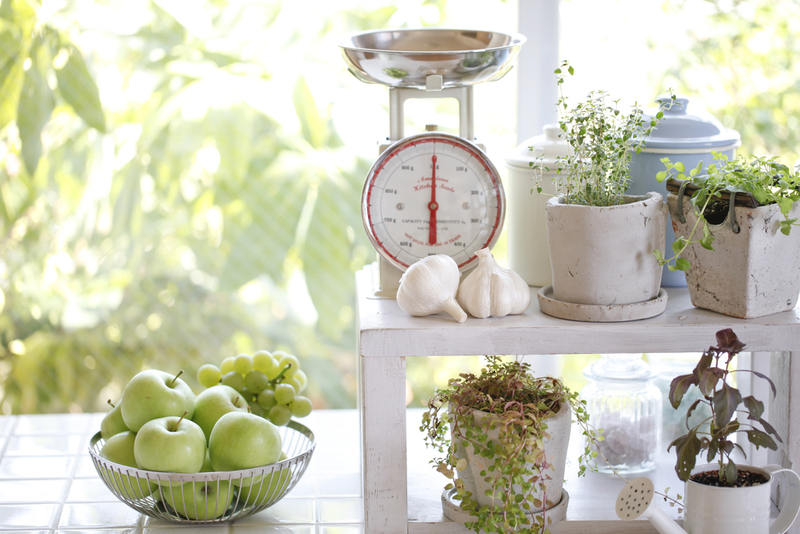 So ideally, your indoor garden will be in an area of your home that gets at least six hours of natural light each day. Of course, that’s not always possible. If your home is simply not blessed with an abundance of natural light, supplemental light fixtures, with full spectrum fluorescent bulbs, will help to ensure that your indoor vegetable garden gets the light it needs to flourish. 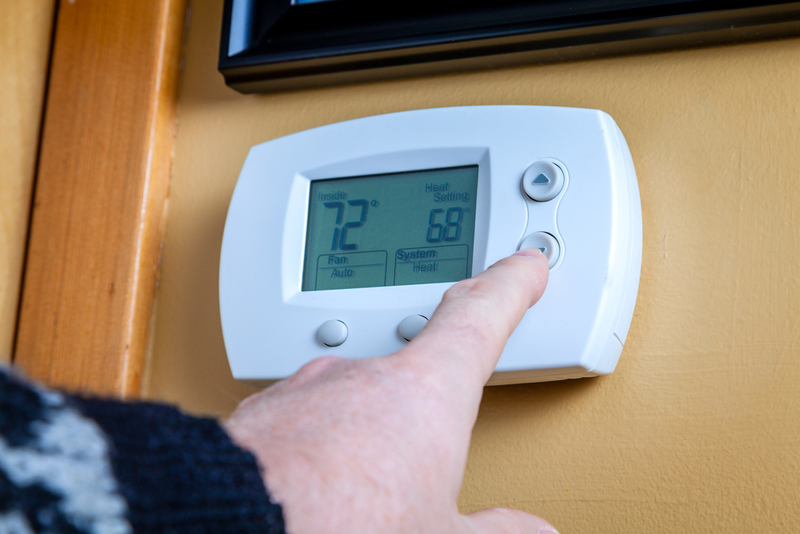 Generally an indoor temperature that’s comfortable for you and your family will be comfortable for your plants, too. Most vegetables require temperatures of 65-75 degrees Fahrenheit to grow. A plant’s leaves give a good indication of whether or not they’re in the right temperature. Yellow leaves that fall off could be a sign that the temperature is too cold. On the other hand, plants grown in temperatures that are too hot will be smaller, and weak. 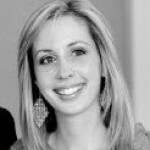 The air in your home tends to be drier in the wintertime, and that can be a challenge for indoor gardeners. 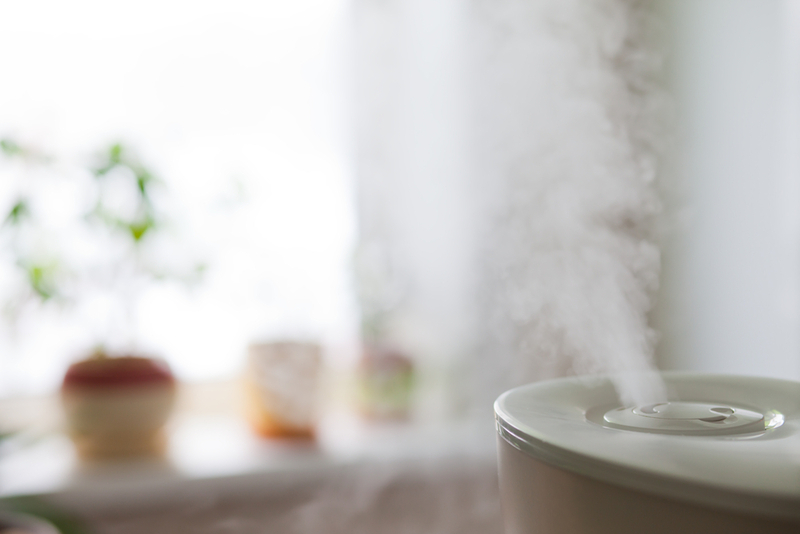 Misting plants daily, or better yet, investing in a humidifier, can help to combat the problems typically associated with dry air (withered plants, loss of leaves, brown leaf tips). You’ll probably notice that your hair and skin look better, too! A sterile soil potting mix reduces the risk of soil-borne pathogens, and is actually lighter than traditional soils, making it easier to move your plants around. 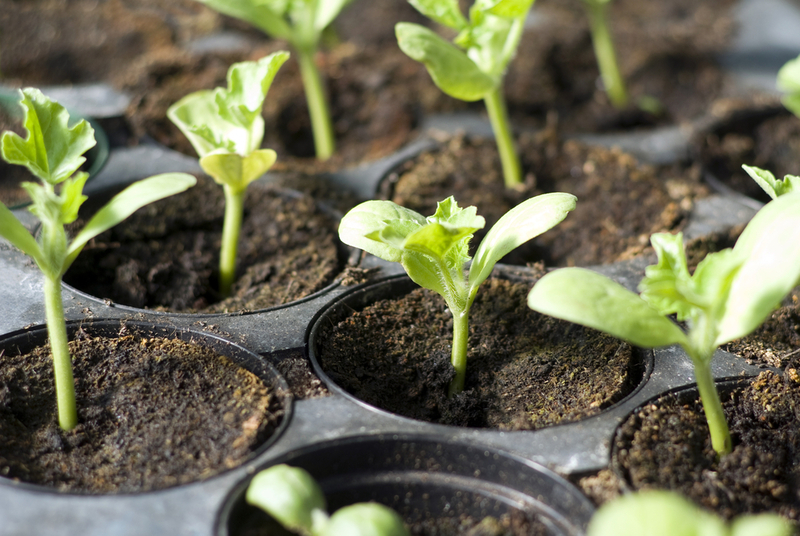 Equal quantities of perlite, vermiculite, peat moss and sand is a good growing mix for vegetables. There are also some different premixes on the market that also include timed-release fertilizer, and moisture holding crystals, though they’re typically more expensive. Pretty much all vegetables can be grown indoors, as long as they don’t get too big. 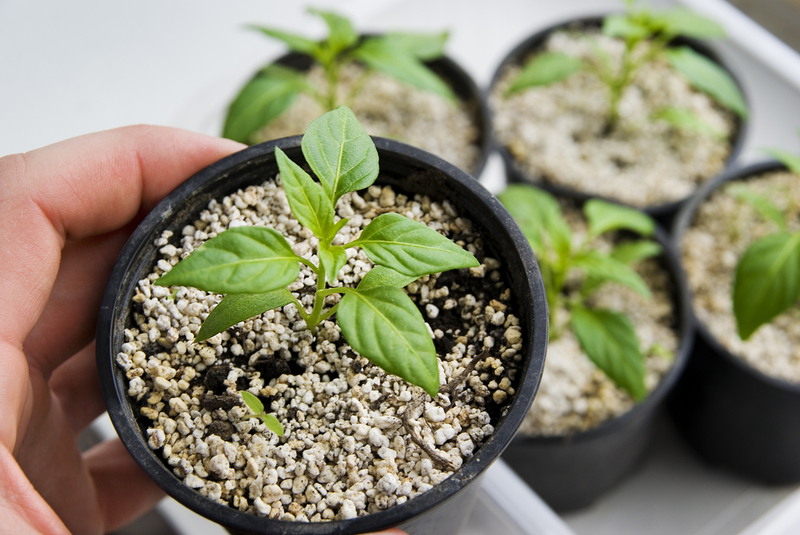 Things like peppers, salad greens, kale, beans, carrots, onions, and cherry tomatoes are popular indoor garden choices. Whatever you choose, opting to grow plants with similar light, humidity, and watering needs together can make caring for your garden much more efficient. 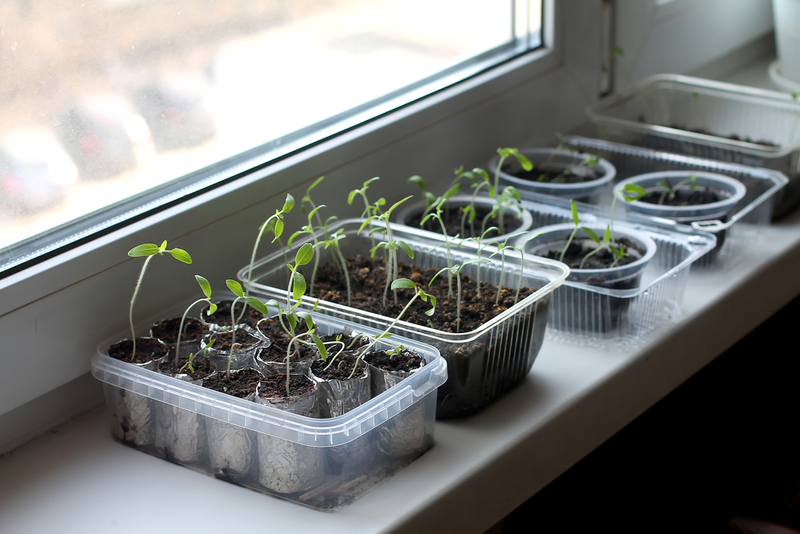 While almost anything can be used as a container for growing plants, to get the best results for your indoor vegetable garden, it’s a good idea to give a little consideration to what you’re planting. 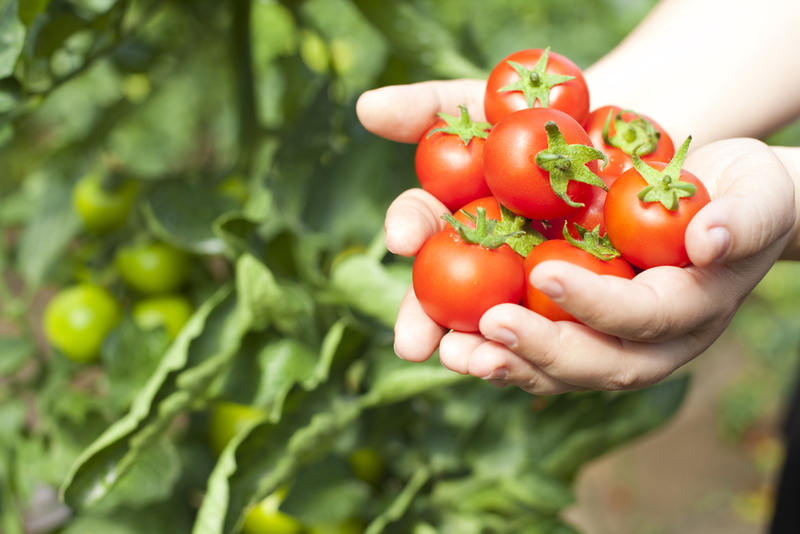 Tomatoes, cucumbers, or climbing types of plants will benefit from a larger container, while salad greens or radishes can be grown in containers that are only a few inches deep. 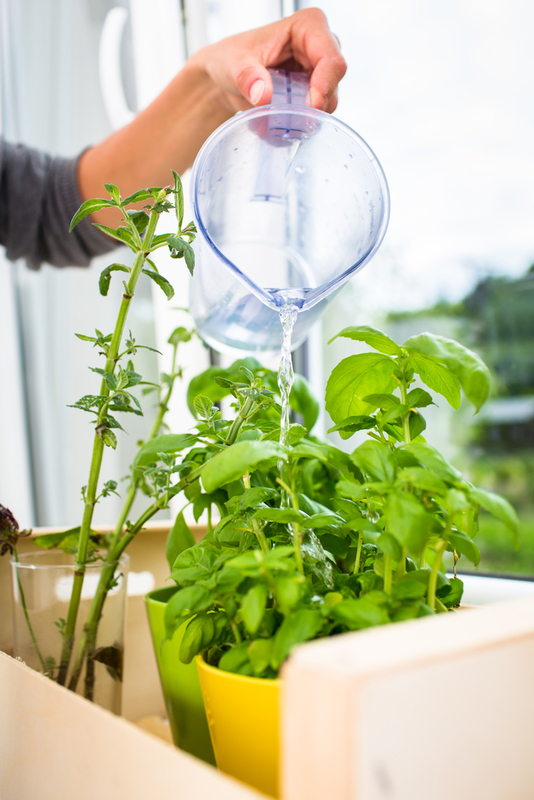 You’ll need to water your indoor garden more than you’d typically water vegetables outdoors. That’s because plants grown in containers tend to dry out faster than their soil-grown counterparts. Use room temperature water, and watch for signs of over or under-watering your plants. Your indoor vegetable garden will certainly benefit from a little fertilizer, especially if it’s planted in a nutrient-free soilless potting medium. Whether you choose to use a water soluble fertilizer, or one that’s mixed into the soil at the time of plantings, it’s important to follow the instructions to avoid over fertilization. 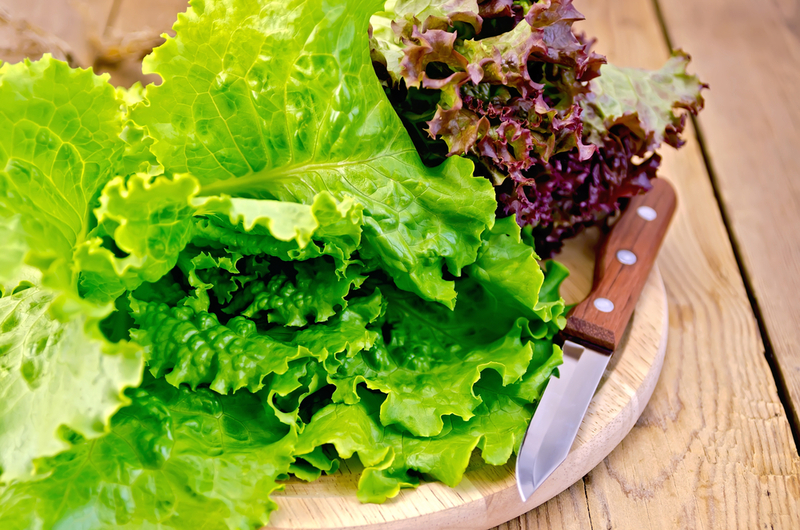 Thanks to some extra work on your part, you’ve got fresh vegetables to enjoy throughout those cold winter months! 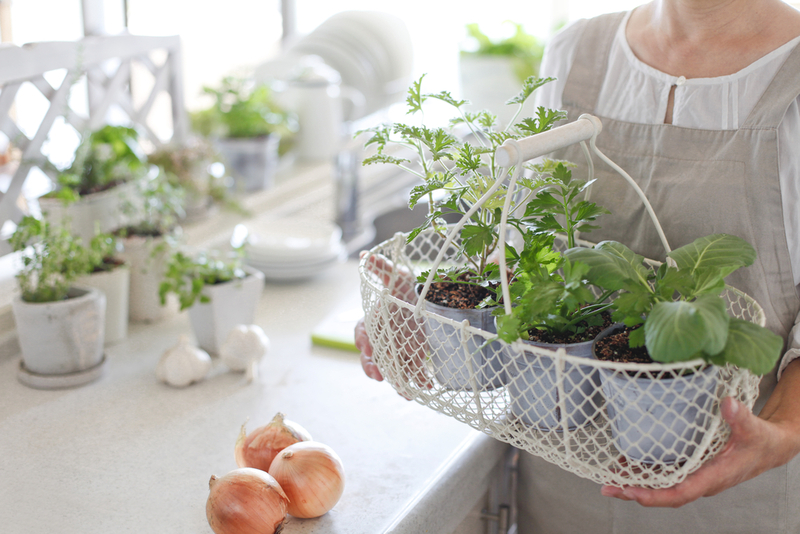 When the warm weather returns, you can either transfer some of those indoor plants outside, or continue to grow fresh veggies and herbs indoors.